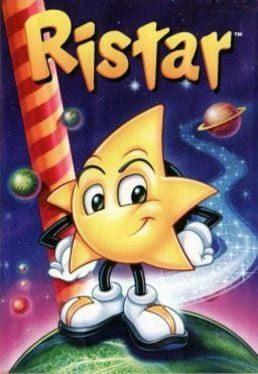 Ristar is a platform game developed and published by Sega for the Sega Genesis in 1995. A Sega Game Gear game, of the same name and genre, Ristar, was also released, which shared similar themes while possessing different level design and gameplay mechanics. The game stars an anthropomorphic cartoon star who uses his hands and long, stretchable arms to both move and combat enemies. Reception for the game has been generally positive, but the game's initial release was overshadowed due to the imminent ending of the Genesis's lifecycle and the succession of the Sega Saturn and other fifth generation video game consoles. While never receiving any sequels, Sega has re-released the game a number of times digitally and on Sega-themed compilations, and has occasionally given Ristar himself cameos in other Sega properties. Ristar is available from 3.49 to 3.49 from 1 shops.